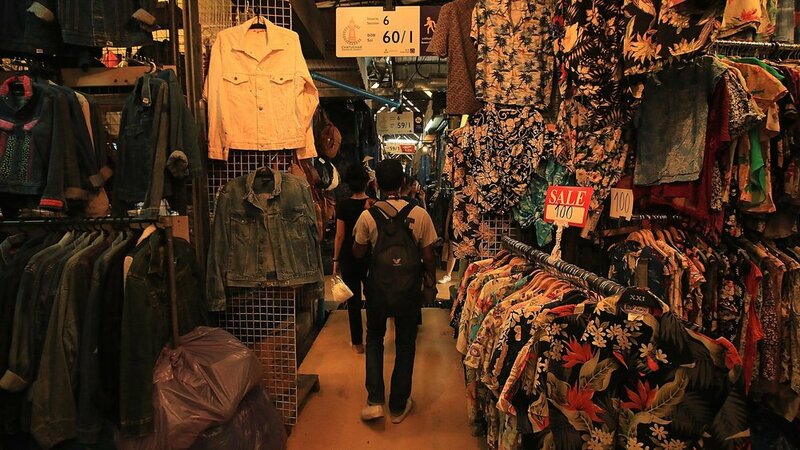 Bangkok is home to a plethora of shopping experiences and loads of outdoor markets. Perhaps the most iconic and definitely the largest is Chatuchak Weekend Market. This market has been around since 1942, although not always in its current location, which wasn’t officially established until 1983 when it was known as Phahonyothin Market. In 1987, the name was changed to Chatuchak Weekend Market as it situated to the south of Chatuchak Park on 27 acres of land donated by the State Railway of Thailand. The market is popular among both locals and tourists, with nearly 30% of the 200,000 to 300,000 daily visitors being foreign tourists. Also known as JJ Market, it is said to be one of the must visit Bangkok attractions as it is heralded as one of the best things to do in Bangkok and a place where you can find almost anything for sale. WHATS FOR SALE AT CHATUCHAK? Chatuchak market is divided in 27 different sections that contain over 15,000 different stalls offering a variety of goods for sale. With so many different stalls, you could spend days walking up and down the narrow alley ways that wind through the market, and not find what you are looking for. Anyone who is visiting the market looking for a specific purchase should be sure to pick up one of the free maps that does it’s best to assist you to navigate the behemoth that is Chatuchak Weekend Market. Daunting as the task may be to find a particular item, it is very relaxing and enjoyable to come to the market to wander the market, meandering your way around until you stumble upon that must have shirt, or hat, or antique, or painting, or any of the seemingly endless number of items for sale. Although the name implies the market is only in operation on the weekends, it is not the case and on specific days of the week you will find different types of commerce taking place. On Wednesday and Thursday, the market is selling only plants and flowers from 6AM to 6PM. Anybody looking for good deals on your home and garden needs would be well informed to head straight to Chatuchak Market. There are pickup trucks available for hire to deliver your purchases to your residence. On Fridays, from 6AM to 6PM, the trade is focused exclusively on wholesale business. However, just before midnight on Friday nights you will find some vendors setting up shop early in anticipation of the Saturday morning 6AM opening time of the main market. For the majority of visitors, Saturday and Sunday, are the days to visit to browse, bargain and buy a host of items. The 27 sections of the market are roughly divided into 11 categories as displayed below with the market section numbers listed. As words of caution and a plea for animals, please be aware that not all vendors are upstanding citizens and some do attempt to make dubious deals. It has been reported that some antiques on sale are not really antiques and just replicas. It is also known that some vendors selling the over 110 species of birds, are pushing species that are on the IUCN Red List as “Threatened” or “Near Threatened”. Can I bargain at Chatuchak? As with most markets in Bangkok, and Thailand for that matter, are usually offering goods for sale, that don’t necessarily have a fixed price, even if there is a price tag on it. The majority of the time, if an item is something you truly intend to purchase, you should ask the price. Regardless of what is stated, you are free to offer less. This, however, is not to say that all vendors will accept less than their asking price, rather, it is to say that it never hurts to ask. The worst that could happen is you and the vendor exchange pleasant smiles and you know if you find the price suitable for purchase. It is advised not to be disrespectful of the vendor and assume that they would accept less than 50% of the asking price. So, it may be inferred that a half price offer would be a good starting point for negotiations to ensue. At the end of the bargaining, please don’t be the type of person who walks away from the vendor’s final offer. The vendors at the market are typically self-employed people, who are trying to make a living. It is extremely rude and disheartening to the vendors to have a person bargain with them and walk away over what more than likely is an insignificant amount of money overall. It may very well be the case that the vendor had went as low to break even just to please. 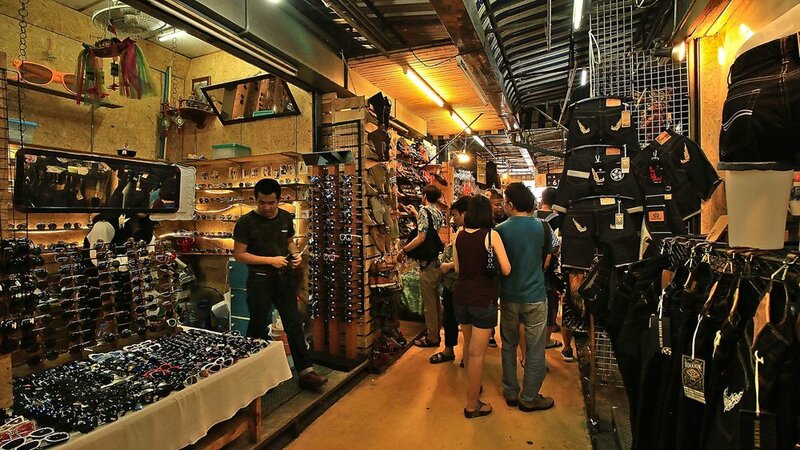 How to Be Prepared for Chatuchak Market? Due to the immense size of Chatuchak Weekend Market and the large number of daily visitors, this place needs to be prepared for. You will most likely be spending more than just a few hours here, which could quite possibly be the better half of the entire day, so you’d most likely be vulnerable to the intense heat of the blazing afternoon sun. It is best to be ready for this and to take some precautions. · To avoid getting too lost, grab a free map at the information kiosks near the entrances. · Wear comfortable and light clothing – Shorts and T-shirts are recommended. · Wear sunscreen – Most of the walking areas are uncovered and in direct sunlight. · Wear comfortable walking shoes or sandals – The market is huge and you will be walking a lot. caution and wear the pack on your front. away with your phones or wallets. yourself down a bit. However, be sure to drink some water as well to avoid dehydration. Chatuchak Weekend Market is not that far from the center of Bangkok. It is quite an easy task to reach this iconic Bangkok attraction, regardless of where in the city you are starting from. By far the easiest option is to use one of the two rail systems, the BTS and the MRT. You can take the BTS to Mo Chit station and take exit 1 or 3 and reach the market after a short walk. If you take exit 1, you will most likely just follow the throngs of people who are walking on the sidewalk or in the street that follows the perimeter of Chatuchak Park. If you were to take exit 3, you’d have a chance to meander through Chatuchak Park, which is a delightful experience. You may get lost in the park trying to get out, but as long as you recognize that you just simply need to go directly across the park, you will find your way to the road leading to the market entrance. If you decided to take the MRT, you have two stations that have exits that lead to the markets entrances. The decidedly more convenient option is to take exit 1 from the Kampheng Phet MRT station. At the top of the escalator you will have your back to one of the entrances. The other choice, and perhaps easier to remember is to get off at the Chatuchak MRT station and use exit #1. From here you will need to follow the crowds along the perimeter of the park. No matter which way you enter the market, it is good to keep in mind it is accessible from various points. This is important to know, so that you don’t spend as much time trying to find where you entered from and instead just find your way outside of the markets gates. Once outside of the market you will be near Chatuchak Park and be able to follow the perimeter to either the BTS or MRT stations.